UTRECHT, THE NETHERLANDS – With seven Grammy Awards and more than 100 million albums sold worldwide, Gloria Estefan is one of the most successful Latin crossover artists of all time. 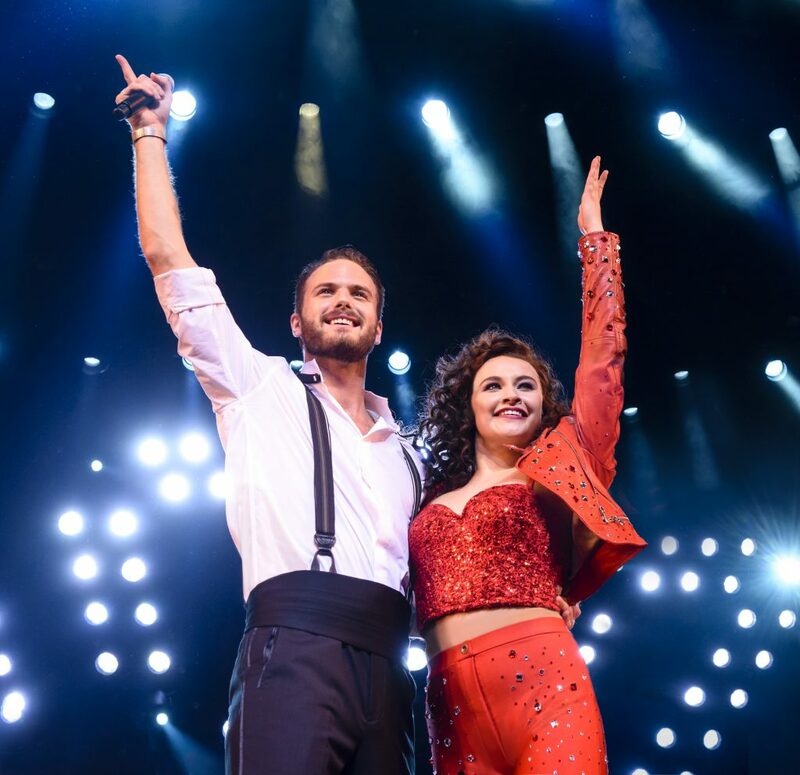 The superstar’s latest smash hit, however, came in the form of a sell-out critically acclaimed Broadway musical, On Your Feet, which depicts her moving and inspiring life story. Tony Award-winning Lighting Designer Kenneth Posner utilized the CHAUVET DJ Intimidator Beam LED 350 on the show’s original Broadway run. 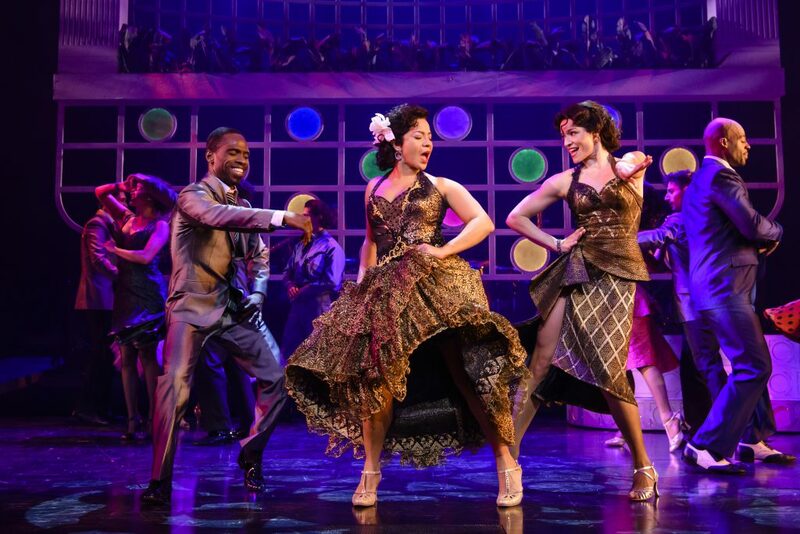 Now the fast-moving fixture is enjoying an encore in the musical‘s current run at the Beatrix Theater in Utrecht, courtesy of Stage Entertainment Netherlands. New York-based Dutch LD Gertjan Houben, who functioned as the Associate LD on the Utrecht show, has specified 48 Intimidator Beam LED 350 fixtures, supplied by Ampco Flashlight. Although the décor and scenic elements of the Dutch production were identical to those of its counterpart on Broadway, the theatre’s stage dimensions and obstructions created some technical challenges for the translation of the lighting concept, especially with regards to the limited trussing space above the proscenium. Posner, along with Broadway Associate LD Anthony Pearson and programmer David Arch, created a number of different lighting scenes to reflect the various musical numbers and different atmospheres within the show. Thanks to the 75W LED engine of the Intimidator Beam, with its bright, long-throw effects and tight, concentrated beam angles, he had an ideal tool for shaping the story with interesting visuals. “With their tight beams and excellent effects such as pan, tilt, saturated colors and gobos, the Broadway team was able to create moments of light spectacle in the transitions between scenes to concert scenes and the Mega mix finale,” continued Houben. With what at first might have seemed like an impossible task, the crew was able to translate the Broadway show onto the Beatrix stage without losing any of the prowess of the original.